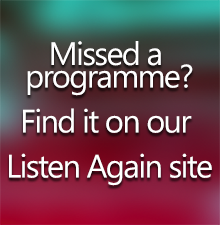 Near FM have launched the Near Documentary Seminar. Taking place on Saturday September 29th. Early bird tickets now available. Join us for the Near Documentary Seminar on Saturday, September 29th 2018. Register now for the early bird rate! 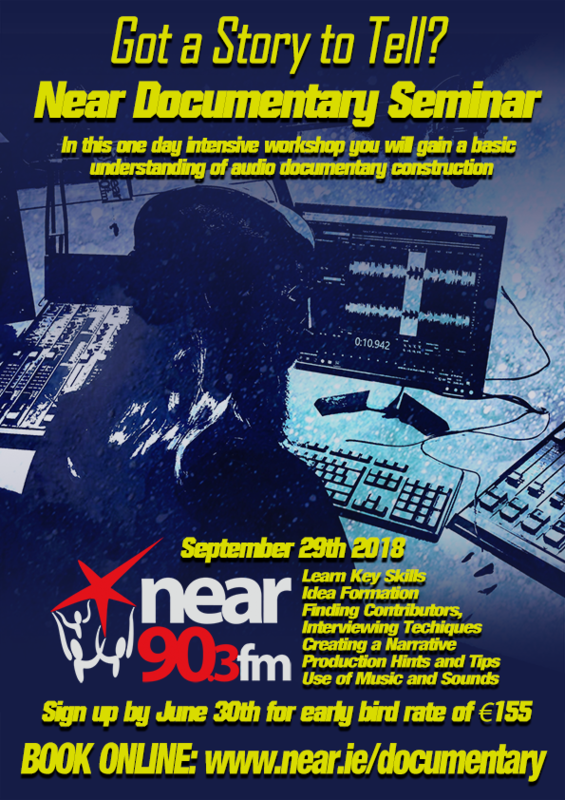 In this one day intensive workshop you will gain a basic understanding of audio documentary construction. 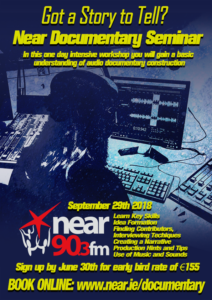 Learn key skills and get advice on idea formation, finding the right contributors to tell your story, interviewing, creating a narrative, production/post-production hints and tips and use of music. The seminar will be broken down into a series of easy to follow modules with experienced Near FM producers and guest speakers. There will be an opportunity to pitch your own ideas. Sign up by June 30th for the early bird rate of €155 (Full price €195).